As I was telling you, I'm completely in love with these purple sweet potatoes. They are so nice with other colorful vegetables such as carrots, cabbage, bricoli etc... And they have a powerful coloring effect: remember my u no hana that I stirred a little too well? 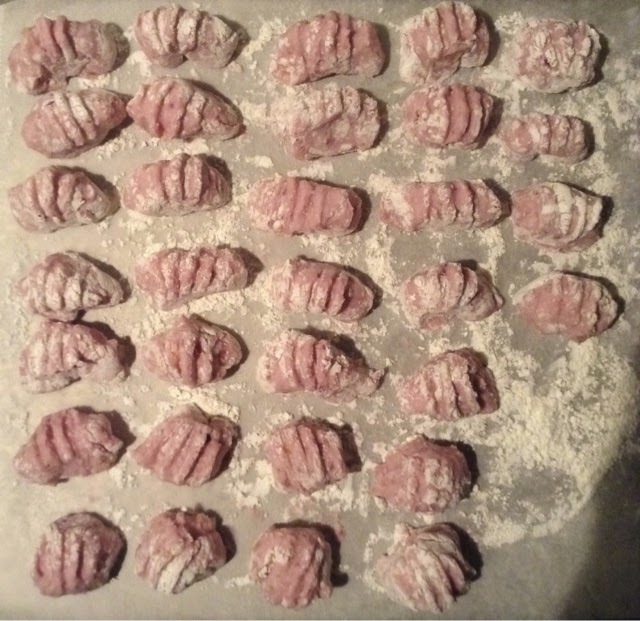 Using this powerful coloring effect I decided to make "pink gnocchi". 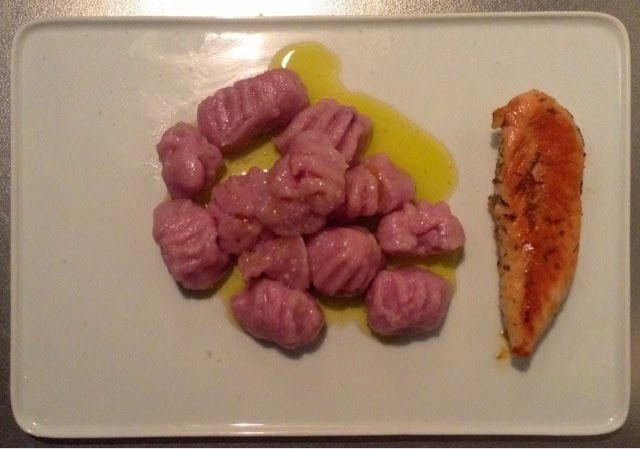 It is often that gnocchi are colored: spinach fir green, tomato for red, pumpkin for orange... Now pink with purple sweet potato. It was really intuitively easy. I boiled two potatoes with their peal and a 1/3 of a purple sweet potato. Then I pealed them and mixed them together in a bowl. 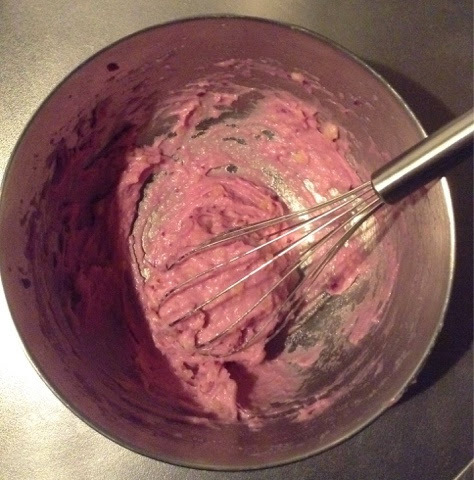 The mixture was a perfect pink!! 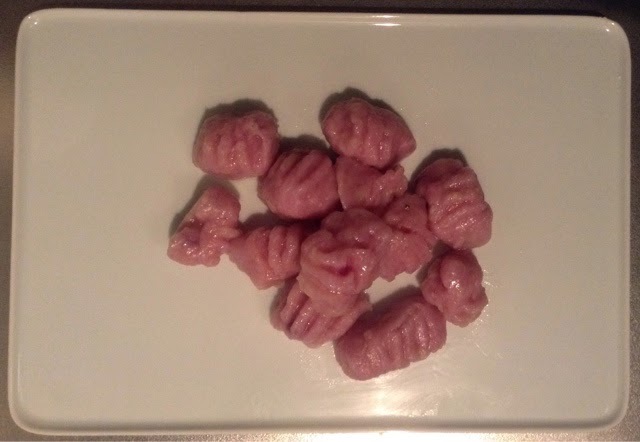 Then it's just like making regular gnocchi. Adding flour little by little until you can shape the dough. Honestly I don't like gnocchi that taste flour so my dough is always on the sticky side rather than the firm one, which make it a little more complicated to shape. Then just before eating I boiled them. And I served them with a piece of thyme-grilled breadt chicken and some olive oil. I believe cream could make a more beautiful effect, but we don't eat cream.., I leave it to you to show me yours!